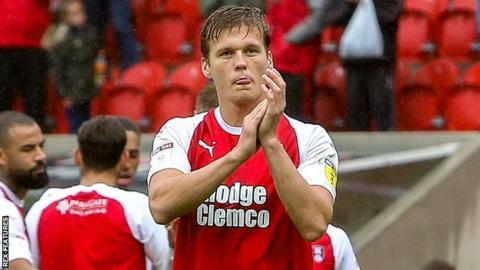 On-loan Rotherham defender Sean Raggett will be out for "a few months" after injuring his knee and ankle in the Millers' defeat by Wigan. Raggett will have surgery to repair damaged ligaments in his ankle. The 24-year-old was making his fifth appearance for Rotherham since signing on a season-long loan from fellow Championship side Norwich City in July. "Hopefully we'll get him back this side of Christmas," Rotherham manager Paul Warne told the club website.